First drones took to the air. Now they take to the sea! The Gladius is basically a remote-controlled submarine with a 4K camera that can dive to 100 meters. I’ve looked at a prototype and it’s quite handsome. 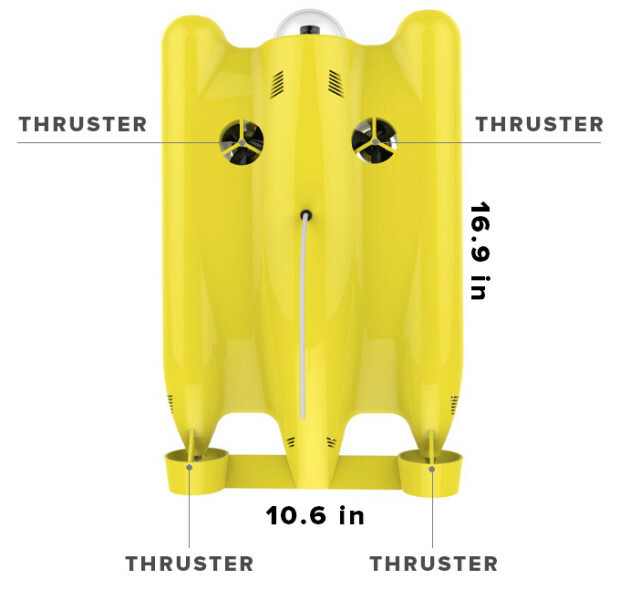 A big, yellow double-barreled monster, the beast is controlled via a phone-connected remote and it is semi-tethered, which means it can roll out about 500 meters with the right gear. I’ll have a fuller review once it gets warmer in Brooklyn, but from what I’ve seen, it looks to be a clever and cool way to have fun at the beach or spot rusted guns in the Gowanus.